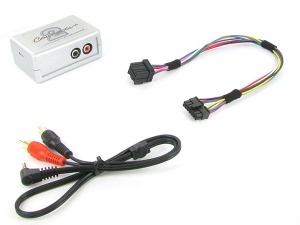 Jaguar AUX input adapters and aux cables for Jaguar S-Type. Connect iPod, iPhone, iPad, MP3 players and more via RCA phono or 3.5mm jack lead. Jaguar S-Type aux adapter. Connect any iPod, iPhone, mobile phone, MP3 player etc. to the factory fitted OEM radio in your Jaguar S-Type 1998 onwards. Full details inside.